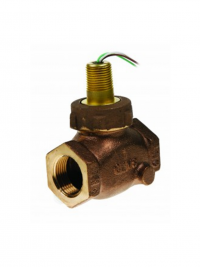 The FS-200E flow switch offers accurate flow detection with 1% repeatability and European G1″ port size. The durable construction delivers long life repeatability in either water or oil. The design of large flow paths keep pressure drop low, thus are ideal for detection of flow in high volume lubrication, cooling or process applications. The FS-200E Adjustable versions offer the same accuracy with the additional feature of external adjustment.